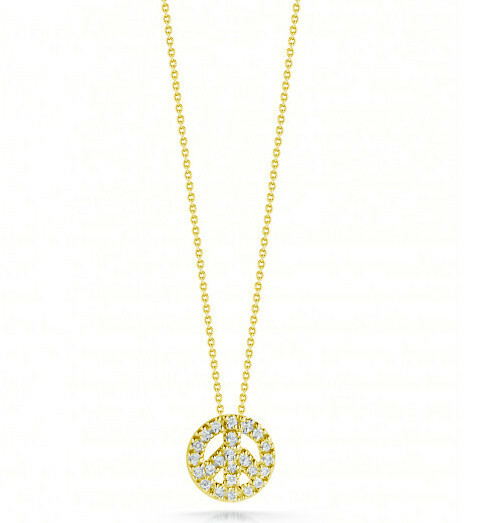 The Tiny Treasures collection from Roberto Coin features this fabulous peace sign necklace. It is crafted is 18kt yellow gold and embedded with twinkling white diamonds. Its matching chain is adjustable. 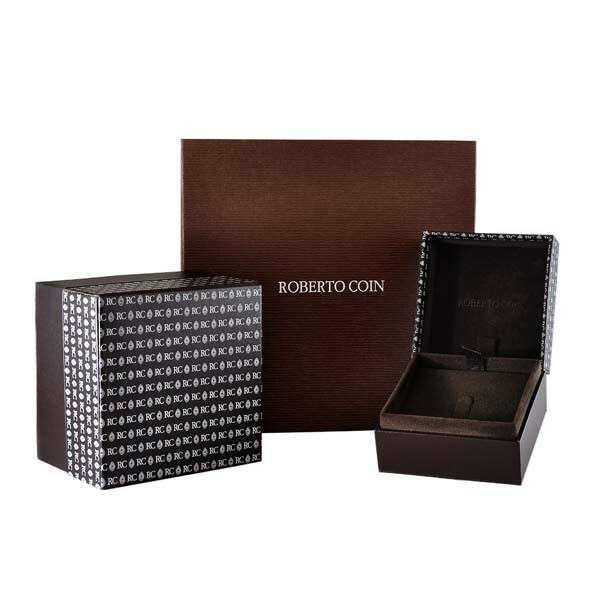 Enjoy a sense of tranquility every time you wear this magical Roberto Coin necklace.